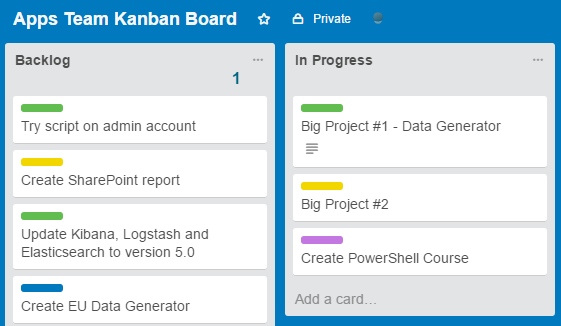 I've been using Trello since its launch in 2011, mostly for personal productivity, and small single board projects. 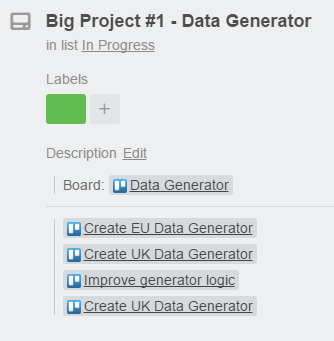 I was very happy with out of the box functionality, but some time ago I've started using it in a special team which worked on more than fifteen projects simultaneously and realized that I need a way to manage backlogs of different projects on separate boards, but still have the main board for tracking work in progress, as easy and usable as if it was all one board. 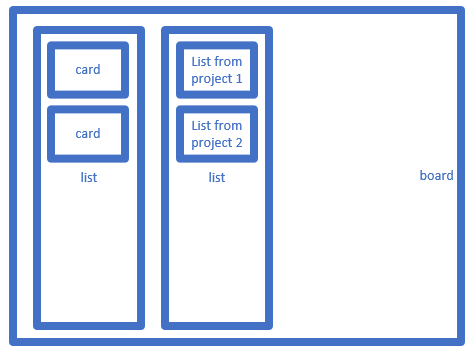 If you have just a few projects, then multiple columns might work out pretty well, but with fifteen of them it becomes a mess. Also, simply moving all the tasks to the separate boards requires team members to browse through the multiple tabs to find the work to do, and ruins one of the main benefits of Trello - simplicity. 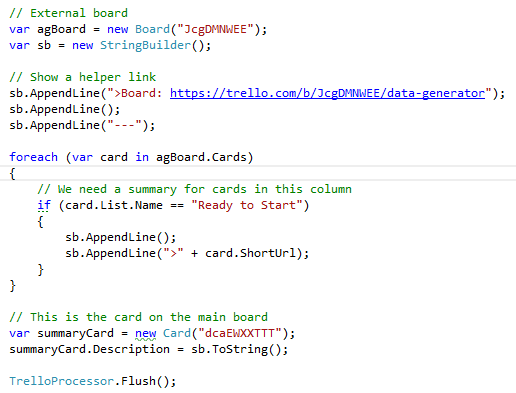 Since I've recently played with Trello API, I've decided to make a small script which would help to keep the boards connected, and basically have "column in a task" functionality. In brief, it takes all tasks from the specified column and writes them to the specified task's description. Yes, it's that simple with https://github.com/gregsdennis/Manatee.Trello! The script runs on schedule and keeps the data up to date. I'm not sharing the entire solution here, as it is rather problem-specific, so let me know in the comments if you need more details.